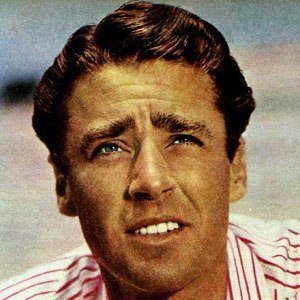 British-born actor who appeared in various MGM films such as The White Cliffs of Dover, Two Sisters From Boston, and Son of Lassie. He appeared in 80 films during his career, beginning with 1930's Poor Old Bill and ending with 1983's Where Is Parsifal? He suffered severe nerve damage from a late 1930s accident involving a glass door, and the injury kept him from pursuing a career in the military. His first major film role was opposite Mickey Rooney in the 1942 hit film, A Yank At Eton. He and his first wife, Patricia Helen Kennedy (sister of John F. Kennedy), had three daughters and a son. Following his 1966 divorce, he was briefly married three more times to three much-younger women: Mary Rowan, Deborah Gould, and Patricia Seaton. He was considered a member of the Rat Pack, a group of actors that included Humphrey Bogart, Frank Sinatra, and Sammy Davis, Jr.